Do you remember your first trip to the original Magic Kingdom? Maybe it was when you were really little, and you hugged Mickey and took a funny picture with Goofy. Perhaps you were a bit older and you screamed your head off at Space Mountain and the Matterhorn Bobsleds! No matter what your first memories are from Disneyland, you want your child to have the best memories of their visit. 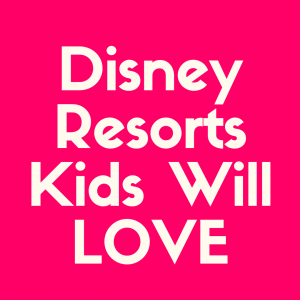 Disneyland Resort is a great place to visit for children of all ages. Taking a four-year-old, though, often feels like a special experience. 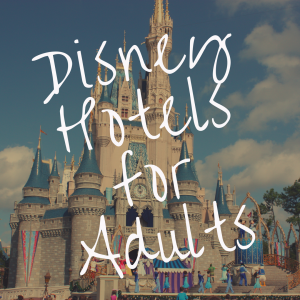 Because kids at this age are typically talkative, engaged, and becoming adventurous, it is an ideal time to take them on a journey to the Happiest Place on Earth. 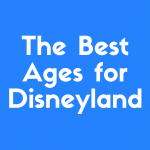 Check out this list of the seven best rides at Disneyland for your youngster! No trip to DLR is complete without some time in the original Magic Kingdom. While there are amazing classics in this park, there are some attractions that simply stand out among the others. Here are the top rides for your youngster in Disneyland Park. Go on an adventure with Buzz and the Green Aliens to defeat the Evil Emperor Zurg, stopping him from stealing batteries. You and a partner team up in an XP-40 space cruiser, equipped with the latest blasters, to take down Zurg and his forces of evil. Travel through the Gamma Quadrant searching for the glowing “Z” and fire at will! With no height restrictions, this interactive gaming attraction is ideal for all ages, especially future astronauts and Toy Story fans! Your four-year-old will love this ride because of it’s amazing storyline (it’s like an additional page from the Toy Story films that fills in Buzz’s background) and fun lasers. Throughout the ride, your group will encounter glowing targets, shooting “laser beams,” and familiar green aliens. Not only does your little one get the chance to help save the galaxy (and earn points for doing so), they can control their destiny in the game with 360-degree spin capabilities to shoot at all the bad guys around them! With several interactive features, Astro Blasters puts you in the middle of a video game featuring some of your favorite characters. Plus, your team gets a photo at the end that can be emailed on-site! As Timothy Q. Mouse strikes up the band, Dumbo begins to fly. And he’s carrying precious cargo! Take your Dumbo (dressed in an array of colors) as high as you can or as low to the ground as you want. Fly around the circus and capture scenes from Fantasyland like Storybook villages and King Arthur’s Carousel from an aerial view. When is the last time you got to fly high up in the sky without a plane? Take your child on this classic Disney ride and soar above the grounds of Fantasyland for what is sure to be a memorable experience. Your four-year-old will love the ability to control their flying elephant with the lever, taking you up and down while going ’round and ’round. Plus, you can enjoy the classic circus melody from the original cartoon film while watching your child ooh and ahh at their newfound abilities with Dumbo. Located in ToonTown, your whole party can take a wild ride after seeing your favorite Mickey & Friends characters. This train was put together by quite the little inventor, Chip ‘n Dale’s friend Gadget Hackwrench, and he loves to have fun! Board your acorn and twist and turn through a collection of lost and found things in Gadget’s collection while avoiding a splash from a certain happy green frog. This ride was designed with kids in mind. It made the list because of its appeal to kids both on the ride and while in line. While you wait, don’t worry about entertainment on smart devices’ there is a colorful assembly of objects and contraptions with which to play. Plus, because this attraction is in the back corner of the park, the wait times tend to be a bit shorter! Note that the roller coaster cars are designed to fit one adult and one child (there are restrictions on height for all riders and for riders to go alone). If your four-year-old is a more adventurous type, this is a great introduction to roller coasters and theme parks. Step aboard the most magical cruise in the world and sight-see around the globe in just several minutes! Sing along to the famous tune and even pick it up in a few other languages. You and your child will get to meet children from around the world and even spot a few featured characters along the way from favorite Disney tales (don’t forget to look up for flying carpets and pixies!). Reasons for your little one to love this may seem obvious with the repeatable sing-song tune and the chance to ride in a boat. However, it’s also a great time to relax for parents! While the kids are stunned by spectacular renditions of the Seven Wonders of the World, singing children, clips of their favorite characters, and a fun song, you can sit back and relax for about ten minutes without a worry! Use your cruise of the Seven Seaways as a great pick-me-up from a nap or big meal to keep the excitement of your Happiest Day that will keep the whole family pleased. Plus, this classic 1960s ride now has a FASTPASS option to skip the line, making the attraction that much sweeter! Some other attractions that you may want to put at the top of your must-ride list include 1955 original Disneyland rides. For many of these, plan to spend time in Fantasyland. For a full list of preschooler and kid rides, visit Disneyland Park’s attractions list (already filtered for you!). The California Adventure park is known for being “more adult” with fewer rides than Disneyland Park, more restaurants and food stands, and more “big rides.” However, Disney didn’t forget about kids when they designed the park, and there are a few “must do” attractions! Take a trip on a 150-foot ferris wheel to capture amazing views of DCA and beyond! You can even choose between a swinging or a non-swinging gondola featuring your favorite Disney-Pixar characters like Woody, Buzz, Nemo, Mr. Incredible, and Lightning McQueen. At night, experience a mini-light show from within your gondola as the Pal-A-Round glows in a rainbow that circulates and delights. If your kiddo loves rides that go ’round and ’round, this is an ideal attraction. The fairly simple design of the ferris wheel offers a lot of intrigue for little ones as they soar high into the air to see Disneyland from an entirely new angle. Plus, with the different character images on each gondola, s/he can tell you who is the favorite and why. This attraction also provides great photo ops for parents of their four-year-olds in a classic ride setting. Of note, you and your party can choose between two options on the Pal-A-Round. For those looking to just relax, the non-swinging gondola is a prime option. Enjoy the view and slow-moving spin without sudden jolts and swings. However, for those who are more adventurous, tackle the swinging gondolas for small, quick drops as you go around! All gondolas are completely covered (have roof, four walls, and bottom). Race with some of your favorite Cars racers like Lightning McQueen and Tow Mater! Have your tires changed by Luigi and Guido or touch up your paint job with Ramone. Get advice from Doc Hudson on the raceway as you take turns and curves through the red rocks of Radiator Springs. Drive with your whole team to the checkered end, where everyone’s a winner! Your four-year-old will be head-over-heels for this Disney-Pixar favorite from the fact that they live the story to their actual race. Riders get to experience the beauty of Tour Ornament Valley, featuring pristine views from the film and a beautiful waterfall, as well as the actual town and residents of Radiator Springs. Be sure to check your child’s height before heading to this thrilling excursion. Buckle up for one of the fastest rides in Disneyland and the only one that lets you race friends and strangers alike! Don’t forget to smile as you see the finish line — your car’s photo will be taken and is available at the exit. Join Woody and his friends inside an actual game! Midway Mania! takes you into a virtual 3-D circus of mini-games where you test your aim and shooting skills with the Spring-Action Launcher. Shoot at different objects with virtual darts, eggs, baseballs and more to rack up points — don’t forget to look for higher scoring objects throughout each set! Ideal for a fun time and engagement within an attraction, this ride brings the world of Toy Story to life. Great for any age, your four-year-old will love the chance to win virtual prizes by scoring in each mini-game. Be sure to grab your 3-D glasses before you get to the end of the queue so you can really insert yourself in the games and have the best aim. Plus, it’s a fast-paced “dance” around Andy’s room in each two-seater car, so your whole experience with the toys comes to life. It’s like you’ve shrunk down to play with your favorite Disney-Pixar friends! One more special perk with this attraction: Play Disney Parks has a game designed to keep your whole party busy while you wait! You can start the fun before you even get on the ride. Check out more about how to download the Play Disney Parks app. For a full list of preschooler and kid rides, visit Disney California Adventure attractions list (already filtered for you!). 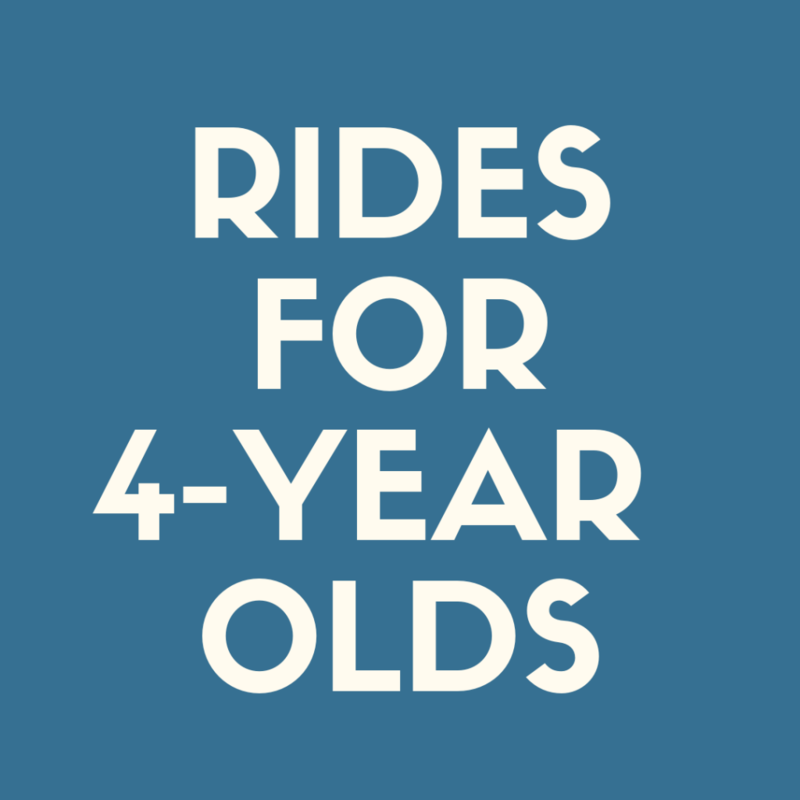 When planning your trip to DLR with a four-year-old, or similarly aged child, there are a few considerations to consider when picking rides. 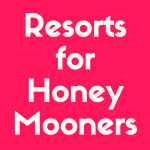 Here is a brief list of what to look at before choosing attractions for the family. Height requirements — every ride will specify what the minimum acceptable height is for any passenger, and Cast Members will check children who look like they just meet this requirement. Measure your child at the front of each queue to avoid getting to the front just to be sent away. Note that your word will not necessarily matter in these instances (even if your son or daughter was measured at the pediatrician yesterday) as Cast Members are trained to ensure the safety of all Guests. You may also want to consider the general stature of adults when choosing who is going to ride with whom on kid-designed rides. Even though they may be small, those with long legs might be in for a squishy ride! Thrill type — dark, loud, and scary tend to go together in the Disney Classifications because they have been shown to induce screams. While this may be acceptable for your child, know how they handle dark rooms and tight spaces and whether they’re prone to nightmares. Disney aims to keep every ride G-rated, but some elements, like ghosts, monsters, skeletons, and abominable snowmen may be too much for young kids. Click here for a list of scary Disneyland attractions. Other features you may want to consider include size of drops, water elements, and speed of the ride. Rider Switch — the ideal theme parks service that allows families with multiple children of different ages and abilities, Rider Switch is available at some park attractions. This service allows your party to have one adult wait with a non-rider for one round and then switch back into the queue without waiting in the full regular line. 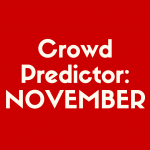 Note that the initial party will need to wait in the regular queue for the first round. For more information, read about Rider Switch options at Disneyland Resort. 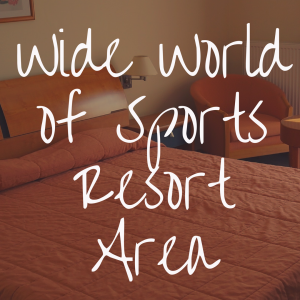 For a quick reference of attractions offering this service, click here. While rides are a highlighted experience at DLR, there are many other attractions and to-dos that make the list with young children. No matter where you are in the parks, there are characters skipping through the streets, making debuts and royal proclamations, and simply looking to meet new friends! With an option for every fan, your child can spend all day taking photos (if s/he really wants to, that is). These are exclusive character engagements available to those who have Disney Visa cards. If you have this asset, be sure to take advantage of your extra perks! Be sure to check your Disneyland App or Disneyland Guide for special events dependent upon the season and special times in the parks. For example, the Holiday Season usually features a meet and greet with Santa in addition to these other character opportunities! Toontown is literally a giant children’s playground. While it is home to a few rides, it features the properties of Mickey and his friends and great treats. If your four-year-old loves to explore, this is the ideal place to visit and let him/her roam! Don’t forget to walk around this land for great photo ops like at Toontown City Hall, the Toontown Fire Department, and even breaking out of Toontown Jail! You may even find additional “toys” that impact the happenings around the park (hint: take a close look at the Musical Fountain). Whether your little one likes to dance, sing, or simply have a good time listening and watching beloved characters come to life, there are shows throughout both parks for all ages to enjoy. Be sure to check your Disneyland App or Disneyland Guide for special events dependent upon the season and special times in the parks. It wouldn’t be a traditional visit to Disneyland Resort if it didn’t include watching one of the fabulous parades either during the day or a night time spectacular! Perfect for all ages, parades feature beloved characters and songs along with amazing dances you can go home and practice! Parades are subject to change due to season and special events. Daily schedules may be subject to change due to weather. For the latest parade entertainment at DLR, be sure to check the official site. When taking your child or children to Disneyland Resort, you want to consider a few key elements about your day. Attractions require wait lines and can be tedious in and of themselves; however, when you follow these Disneyland tips, you and your little ones will have the most magical day! As great as strollers are, be prepared to let them go! Strollers will notoriously slow you down in pedestrian traffic. When possible, fold up the stroller and carry it with you. If that’s not a possibility, visit your favorite attractions land by land to use stroller parking efficiently. Most attractions will have a region for stroller parking, but it will save you time and energy if you can leave it at just one central location. Know your kids’ schedules. If they are still taking naps, book it into your day by heading to a show or a nice meal for the rest of the family! Little ones may not want to miss any excitement, but letting them rest will certainly make your day better when your little one is smiling and giggling during the fireworks! Bring snacks and drinks with you. While there are great options around both parks to pick up an apple juice, chocolate milk, or apple crisps (featuring Mickey on the bag! ), getting to them may be difficult and time-consuming with a stroller and/or crying child. If you have those things on hand, you can stay in line, or at least in the same area, without having to worry about hustling to find a vendor with those items. Note that many vendors carrying child-specific snacks are built-in store fronts like Tropical Imports (Adventureland) or fruit cars in Critter Country and Fantasyland in Disneyland Park and Mortimer’s Market (entrance to Buena Vista Street) and Fairfax Market (Hollywoodland) in California Adventure. This makes getting favorite kids’ snacks that much more difficult to access with the distance between them. Plan to do character visits early in the day for the most optimal smiles and shortest lines (generally). If your group can be early birds, you will have the most opportunities to find your favorite characters and get your pictures first! There is Disney Guest Wi-Fi. Whether you have your own smart device or a child’s tablet, you can connect throughout the park to allow everyone to watch and play on-the-go. Plus, you can tune in to the Disneyland App for free to check wait times, track character visits, reserve dining, order food at select Mobile Order locations, confirm showtimes, and more. You can also connect to Play Disney Parks throughout the day when you are in line for some attractions, making the wait fun for the whole family. In the end, the time you and your child spend at Disneyland should be magical. Remember that for many four-year-olds, this will be one of their first highly impressionable memories, so you want it to be the happiest it can be!